Successful completion of aircraft projects such as the Fourwinds, Javelin jet, MySky, Turbine Legend and Maule aircraft projects as well as many other non aviation development and production projects for major theme parks, boat manufacturers, automotive race teams and many others. 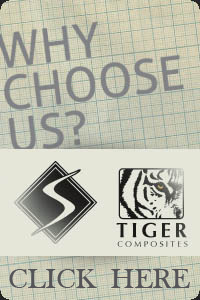 Tiger Composites has the current experience of doing exactly what the customer needs, getting new designs into production and building the highest quality products for the best prices globally. Tiger Composites also has extensive experience in all methods of FRP tooling and production based on our varied client and project list giving us a broader perspective for problem solving and development. 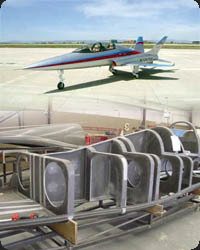 With the completion of over 30,000 class “A” high tolerance FRP parts and ride vehicles for one of the most demanding customers in the world, in less than 10 months while still being able to give new customers with single production item prototypes the full attention they deserve, Tiger Composites can help any sized customer efficiently and cost effectively. We have over 200 employees worldwide and the ability to expand quickly if required while maintaining a very lean and cost effective workforce. Over 100,000 square feet of production space available as needed for customer’s projects. With a less than 1% total reject rate on parts made for past customers of our organization. Tiger Composites has an ISO 9001 / AS 9100 compliant quality system in place in all of our facilities around the world administered through one central point in our headquarters and engineering center in Florida. 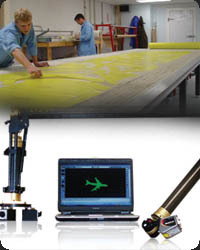 Tiger Composites has a global reach and cost competitiveness while maintaining the safety of having all transactions and contracts executed in the USA giving a known, level playing field between the customer and vendor. Tiger Composites are not simply vendors to each other but fully co–owned companies assuring full dedication and loyalty to our customers. 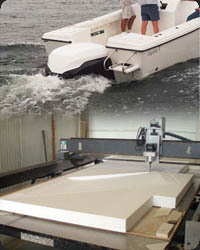 We do not just have a vendor partner overseas to do our work for us. Diversity and risk spread out over 3 facilities each able to run the project on their own. Ease of communication( critical for complex items). Enjoyable locations to do business! Thailand, Florida and the Dominican Republic are world class vacation destinations so work can be fun!